For my 21st, I'm going to save up to go to the UK Furry Convention, Confuzzled, in 2013. I just wanted to make a thread about it, because the messages would just be lost otherwise. Confuzzled is a Furry Convention in Leicestershire. As with many furry conventions, each has a theme to go with every year. 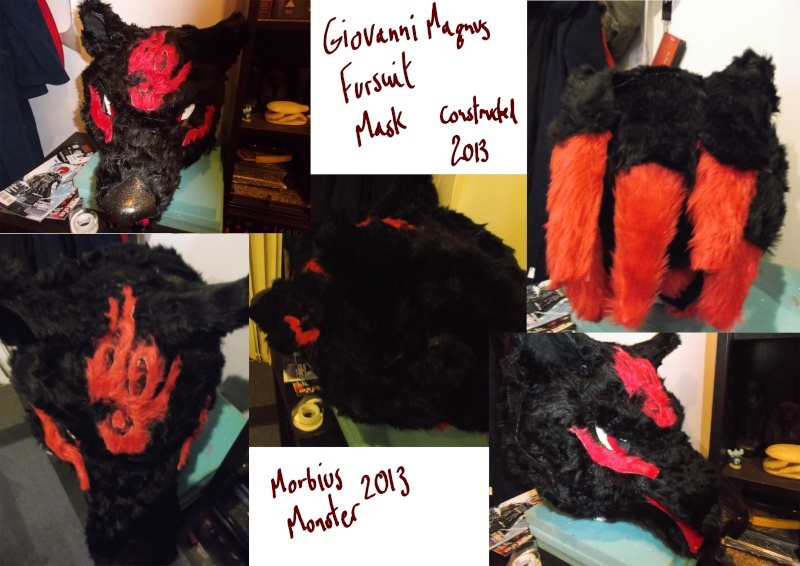 This year's is a particular one I would find very complimentary with my fursona, Giovanni. This Year's theme is... Medieval! The age of knights, wizards, nobles and, of course, is the setting of RuneScape, which means Giovanni would fit right in with his native time zone. If you're interested in looking up details for the convention or might want to share a room, here's the site. The fur part of the costume will be partial, covering the feet, arms and some of the torso. The head will be the trickiest to construct, but this makes it perfect. There are plenty of guides online, I just need a decent one to get the most lycan looking head. I can prepare the tail, no problem. Since Giovanni is skilled in areas such as sorcery and necromancy, I've decided to go for robes as opposed to armour. I've going to go with a merger between the wolf clothes from Solomon's store and Sliske's robes. The option of wearing breeches or not is still open. Personally, I can't decide as they may clash with the loincloth belt, but at the same time, might be ideal if I don't want to appear too naturale. I've decided on a loin cloth belt (don't worry, it's on top of the fursuit). I found out that one can be made really cheaply, all I need is a weight training belt and I can modify it. I've got some glass jewel shapes I can attach to it and I might make a paper machê wolf skull to attach like a buckle. Gives that really special kind of feeling. I have a wand, but I might looking into making a spell book and runes (I understand runic language, so I could come up with accurate designs). Giovanni wears inhibitors, but because the theme is medieval, they don't exist in 12th-13th Century Earth. Therefore, I decided to remodel them slightly to look like shackles, with runic symbols on them. I plan on writing "Fenrir" on them in runic, as the inhibitors are very similar to the purpose of Fenrir's chains; break them, all hell breaks loose. 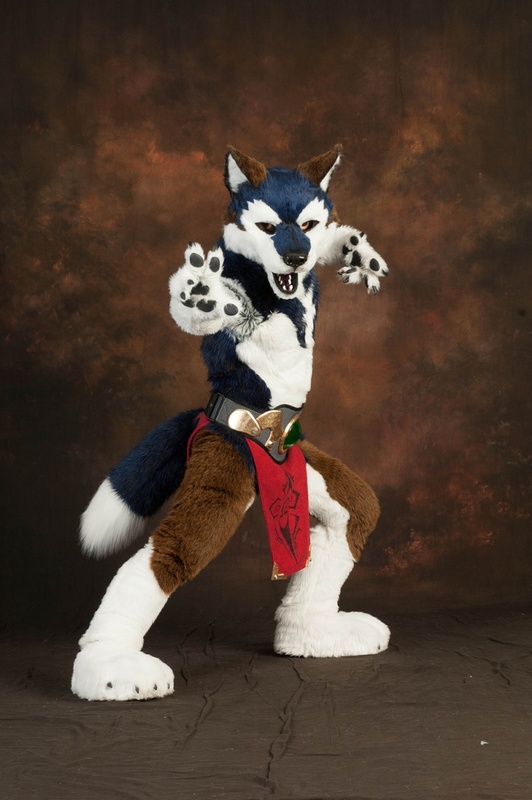 Here's a picture of a fursuit similar to what I'd like to achieve. It belongs to Maglot. Sounds pretty badass. I'd be totally overwhelmed by such a project, not really one for costume making, but I admire those with the knack. Good luck. I'll upload it coloured once it's ready. The staff looks like the most tricky part, it has to be made to be collapsible so I can carry it in my case. The parts, such as the head and base, I'll need resin or plastic to make the crystals and I might fit some LEDs to make them glow. I have registered, but I am on a waiting list. I'm going for a room for two with two separate beds as I want to go with a friend who is also going for the first time. I managed to find the materials for the fursuit and costume for less than £30 (courtesy of Fabric Land) and I have bought a variety of different props to flesh him out. I will need a curtain pole for the staff, since I didn't quite have enough wood in the workshop. I managed to take a number of photos (not as many as I hoped, I ran out of battery by the later half of the con). I figured it was about time I rebooted this topic, since I am attending Confuzzled for this year as well. Anyway, the theme is the world of tomorrow, so I am digging out a raccoon suit I made for a friend and going as the original Rocket Raccoon, whilst everyone knows who he is. Also, I have been working for months on an enormous task - for the art show, I have been producing a large print which features tons of furry characters. This, over the course of the weekend, will be on auction to raise money for the charity being sponsored by the convention, the Cat Survival Trust. The official debut will be at Confuzzled, with the image being uploaded online after the convention.